All performance ticket purchases are non-refundable. 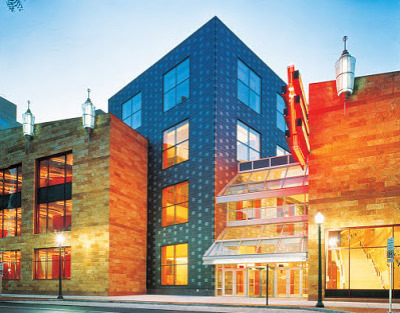 Tickets to all performances are available exclusively through Whitaker Center’s Box Office, whitakercenter.org or through ticketmaster.com. We do not recommend that guests purchase tickets through third- party sites. In addition to paying much more than necessary and not knowing if your tickets are legitimate, if there are any issues with your order; you lose your tickets or have issues with your credit card information being compromised, Whitaker Center cannot help you resolve the issue(s). In the event that there are any changes to the show such as time changes, cancellations, etc., Whitaker Center will not be able to notify you directly if you purchased your tickets through a third-party. If you have questions about purchasing tickets please call the Whitaker Center Box Office at 717-214-ARTS (2787). Some artists will require that we not offer late seating. This is to preserve the integrity of the show and not distract other guests from enjoying the performance. Please allow plenty of time to arrive at Whitaker Center and make your way to your seat. If you arrive late, we may not be able to seat you until an appropriate break or intermission in the show. Please contact the Box Office at 717-214-2787 regarding accessible seating prior to purchasing tickets. Accessible seating is available throughout the Sunoco Performance Theater and Select Medical Digital Cinema. Patrons may either remain in their wheelchairs or transfer to house seats. Patrons who would like to remain in their wheelchairs during the performance or film should request wheelchair-accessible locations when buying their tickets. The Box Office will make every attempt to seat one companion in an adjacent seat and any additional guests as close as possible. Click here to view the Sunoco Performance Theater seating chart. When you purchase your tickets through Whitaker Center, you can opt to either have your tickets mailed to you or pick them up at Will Call. We cannot accept e-mail confirmations displayed on mobile devices as a ticket to enter the theater. Please either have your tickets mailed to you prior to the show or make arrangements to pick them up in person at the Whitaker Center Box Office Will Call window. Occasionally, due to circumstances beyond our control we will have to reschedule or, in very rare cases, cancel a show. Severe weather or artist conflicts are the most common reasons for show schedule to be altered. In the case of shows being rescheduled, we honor all existing tickets at the rescheduled date. If a show is cancelled, we issue refunds for all tickets sold. For additional information, visit the Guest Services page.